It's been a minute, but that's not without something to show for it. It's important to me that the Wear app is as functional and impressive as the companion mobile app. With this update I've gotten closer to just that. 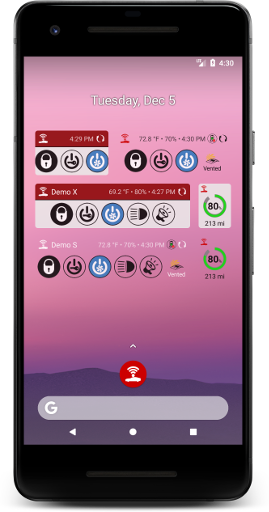 Included with the improved Wear app is a new home and charge screen, plus an updated controls and climate screen. You can now set your charge limit, monitor vehicle statuses, set valet mode, start/stop charging, open/close charge port door, you name it - all from your Wear devices. Be sure to scroll down on each screen just like the mobile app to access more functionality. 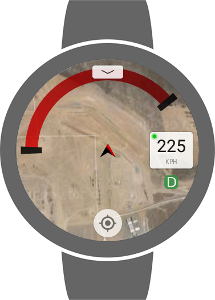 Still to come is a location screen, telemetry readings, and summon & HomeLink support. Continued efforts to improve the aesthetics of the app across the board with some asset and design improvements. This includes support for the new Model 3. 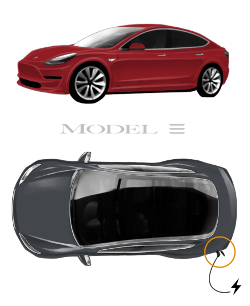 For fun, be sure to play with the Trim Designer to see what different models, trims, wheels and paint colors a Tesla could look like. To enter an access code, press and hold the sign-in button for 3 seconds when signing in. Thanks everyone for your continued support and patience and be sure to let me know if you need anything.